[dropcap]W[/dropcap]e will be exhibiting at the Winnetka Antique + Modernism Show November 4th through 6th. The Antiques & Modernism Winnetka Show is the ultimate destination for interior designers, shoppers, and collectors alike. Ranging in styles from classic to modern, the Show is renowned for exquisite home furnishings and accessories, artwork, clothing, and jewelry, exclusively available for purchase from dealers who are nationally recognized specialists. The Show’s 60-year history and prevailing reputation speak to the caliber of this spectacular style and design event. 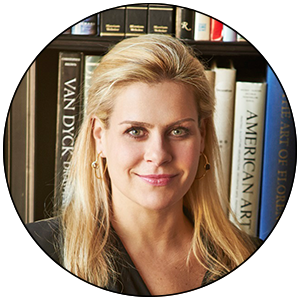 The 2016 A+M Show is fortunate to bring three internationally recognized design mavens to its events’ line-up: iconic designer Alexa Hampton, entrepreneur and style maker India Hicks, and Chicago luminary Michael Del Piero. Proceeds from the Show benefit the Winnetka Community House. I am pleased to share pictures of our recent acquisitions with you. If you would like more information please phone or email me. 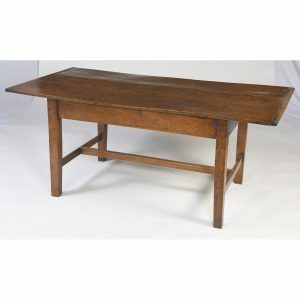 Antique English oak farm table with a 3 plank top with cleated ends. The base has square tapered legs united by an ‘H’ stretcher. Wonderful warm, faded color. 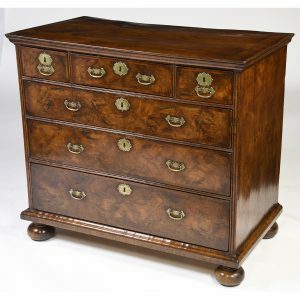 Antique English William and Mary period walnut chest of 3 short over 3 long drawers. 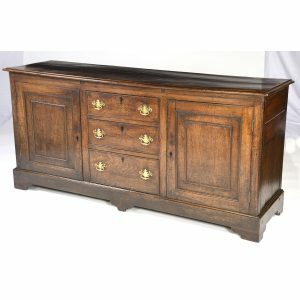 The top with broad crossbanding and the drawers have feather banded edges and retain their original brass hardware. The bun feet are later replacements. Antique English oak dresser base with three central drawers flanked by two cupboards with paneled doors with applied astragal mouldings. It stands on bracket feet and has later antique brass handles.